Animana 3.12 contains several new features and enhancements including new price lists for IDEXX In-House Diagnostics products and IDEXX Reference Lab tests for the United Kingdom, sequential numbering of visit forms, and the availability of a new Stock Activity Report. We strongly recommend you to read these release notes carefully in order to stay up to date with the changes made. For more information, check the various Knowledge Base articles linked to throughout this document, or feel free to contact your local support team at idexx-animana-support-uk@idexx.com. It’s time to start stocking up for the new year! Animana 3.12 includes the 2018 UK price lists for several IDEXX products. UK customers can now add products or update existing product prices for IDEXX In-House Diagnostics and IDEXX Reference Lab. Please consult the Knowledge Base articles for more information on how to add IDEXX products or update your IDEXX product prices. Starting 1 January 2018, new livestock visit forms will have unique numbers generated in sequential order. The visit form number consists of the year and a number, in the format YYYY-XXXXX, and adds up throughout the year. For example: The first visit form created in 2018 will have the number 2018-00001. The second visit form (regardless of the day or month) will have the number 2018-00002. Note that this form number is now only generated upon saving the form. For more information on visit forms, see our article in the Knowledge Base. Keeping track of stock in a busy practice can be a challenge. Animana’s new Stock Activity Report helps you keep a steady overview of what products are coming in and going out of your practice within a specific period of time or clinic location, helping you maintain accurate counts of all your supplies. For more information on using the new Stock Activity Report, see our Knowledge Base article. As of Animana 3.12, the week overview in the Diary view will now display the week as starting on Monday (rather than Sunday). This is better aligned with the calendar view and the weekly schedule of most practices, and should help to avoid confusion and unnecessary clerical errors. Reports found under Extra > Reports will now only display once you’ve clicked on ‘Show Result’. This will allow you to first choose the dimensions you wish to display before loading the report, allowing the page to load more efficiently and ensuring that only relevant information is displayed. 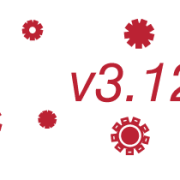 We hope you enjoy working with the new features and improvements we’ve introduced in Animana 3.12. If you have any questions about any of the changes in 3.12, never hesitate to check the Knowledge Base or get in touch with Animana Customer Support.